My work is meant to be comforting and disquieting, nostalgic and satisfying, between the real and unreal. I am interested in transient experiences to places between reality and fantasy. 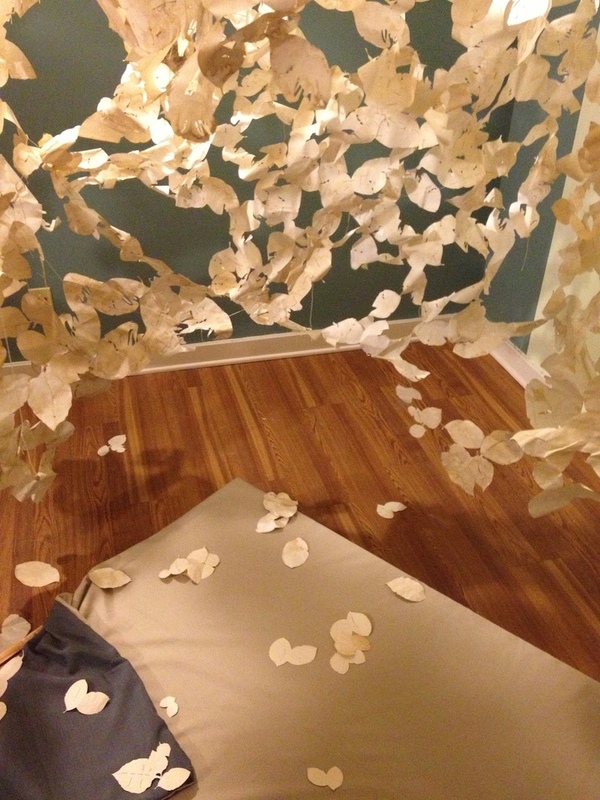 Through use of paper and thread I create an artificial landscape of cascading leaves. 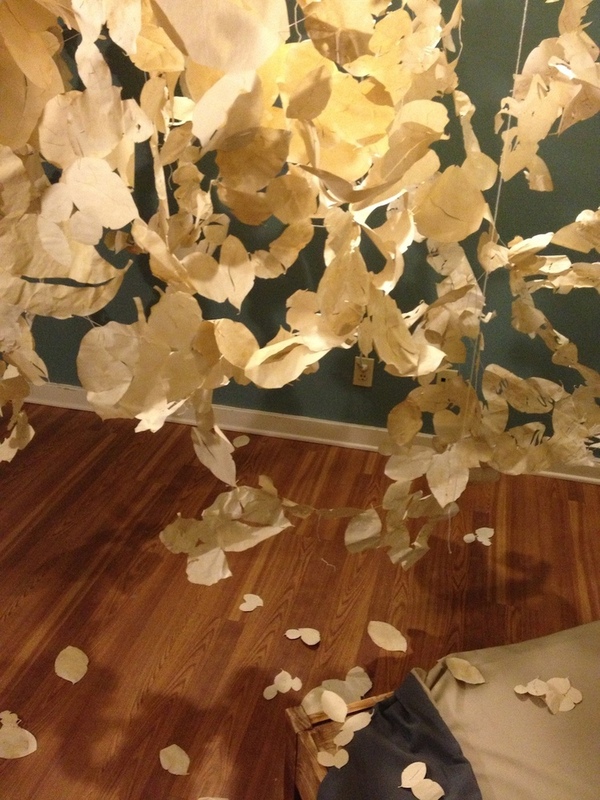 The presentation of the installation creates an illusion, one where the shadows are more realistic than the leaves that cast them. 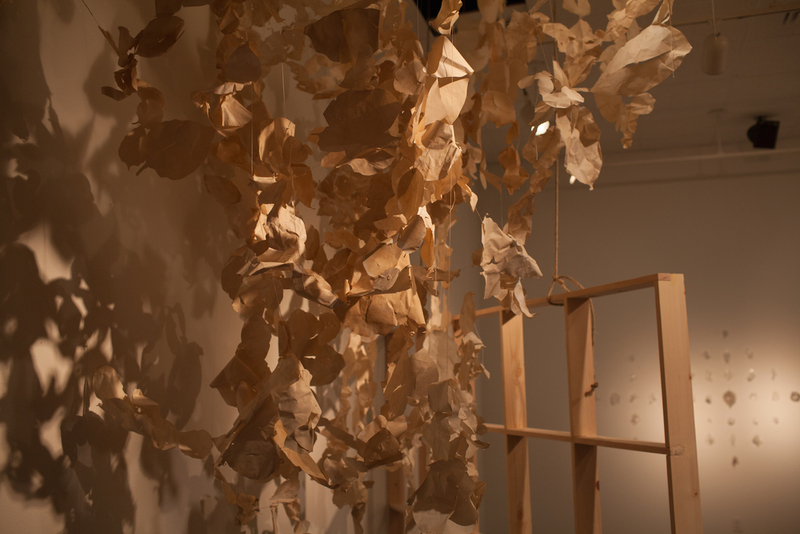 There is an inner structure in my work that is representative of stability and refers to home, security, and sanity. Thread is used as a way to methodically and meticulously stitch experiences and memories together. I aim to create a reflective space caught in a state of hyperreality. Notions of the sublime are present through ominous yet beautiful nature, through tension and wonder.